WOW!! Just in to CCMS is this AMAZING Custom Build!! 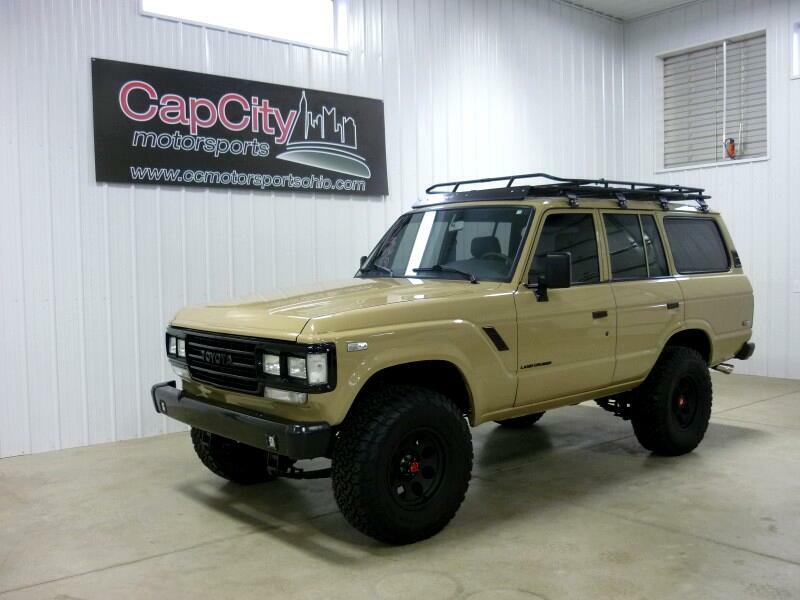 1989 Toyota Land Cruiser FJ62 that has been TOTALLY gone through, upgraded and built in the past 15K miles! Clean Carfax and only 153K chassis miles since new, this one is the cleanest we've ever seen! Where do we start?? The build sheet consists of: 6.0L LS engine upgrade, 4L85E automatic transmission, Fresh exterior paint in Desert Tan less than 2 years ago, Upgraded stereo, Old Man Emu suspension kit, New wheels and tires, GOBI roof rack, Custom A/C, Rebuilt axles, New power brake system, New mirrors and trim, New custom interior with Heated Front Seats, Custom exhaust, Custom headliner, New seatbelts, New weatherstripping and MORE!! Over $60k in receipts! The build cost was nearly $100K! This is the ULTIMATE FJ! Built the right way and ready to drive anywhere! Call us for more info and immediate assistance! Priced very fair at $68,970.